Okay girls! I know you’ve missed me and I have missed you. But please, stop sending me letters, emails and videos begging me to write some more of my adventures. Wait, let me back up for a minute. For the few humans on the planet who don’t know who I am, allow me to introduce myself by paraphrasing Mick Jagger. I’m a dog of wealth and fame . . . my name is Danny the Dog, a heartbreaker to all females . . . human and canine alike. Now back to business. You girls are in luck; I have a new adventure for you. My latest exploits started on a dark and stormy night. (Wouldn’t you know it?) My human was at the computer pulling his hair out because he had been editing his latest book. That’s the reason I haven’t been writing. My human, whose name is Andrew, and I share one computer and he was hogging it. I was going to bite him, but he is my sole source of food. I barked at Andrew, telling him to go to bed. Then I stayed up throughout the night fixing his mess for him. And I must say that I’m hell-on-wheels when it comes to writing. When I was finished saving his career (career?) I went into his email account (I know all his passwords) and emailed the now genius work to his agent. Well folks, that’s it for this go-round. 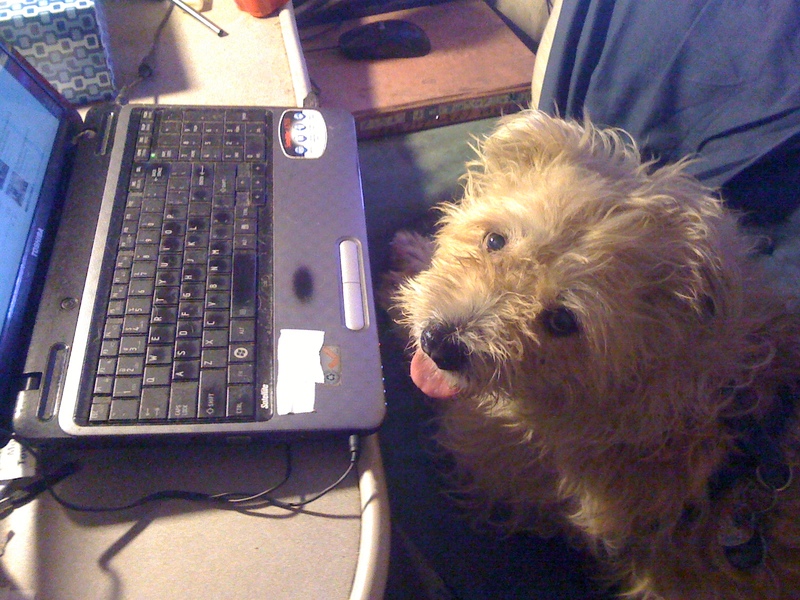 Now that I have more access to the computer, look for my next modest adventure: Danny the Dog Saves the World! As are all my adventures, it is 100% true.